Most days, divorced mom Ava Olson is just trying to keep it all together. With three school-age children and only a part-time job at a local newspaper, she barely has time to juggle the small stuff, much less stand back and consider the big picture. Besides, dreaming about what-ifs is a dangerous habit, especially when her real concern should be the competition from a much younger new editor….That is, until she meets Ford, a café owner who wins her over with his warm smile and delicious po’ boy sandwiches—and makes her wonder if there could still be more to life than work and kids. Then a new opportunity opens up, and suddenly Ava is making big changes. 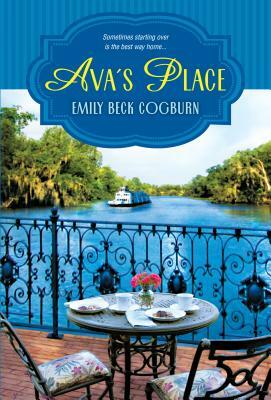 Like moving eighty miles away to New Orleans, working full-time—and discovering just how sweet a future in the sultry Louisiana city might be—even if she has to explore it on her own. When Ava begins investigating a story that promises huge headlines, she’s ready for the front page….But can she rewrite the story of her own life, complete with a love interest and a very happy ending? Insightful, humorous, and down-to-earth, Emily Beck Cogburn’s new novel celebrates the possibilities of change, the courage it takes to make our most heartfelt dreams come true—and the joy of finding your place in the world.